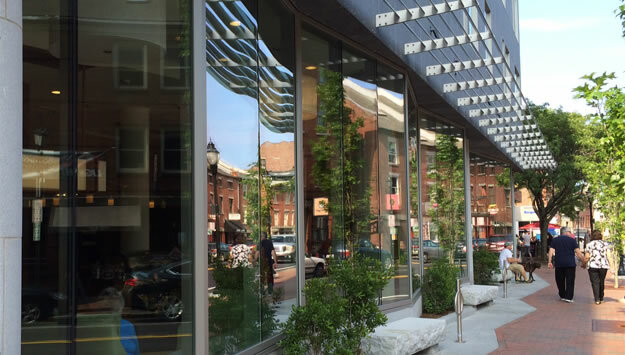 Hyatt: Portland, Maine - All glass entrances, automatic entrances, and terrace doors. 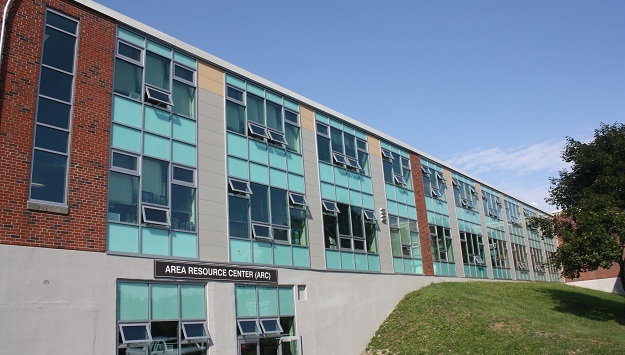 Recipient of the 2014 Glass Magazine "Most Innovative Curtain Wall Project" award. 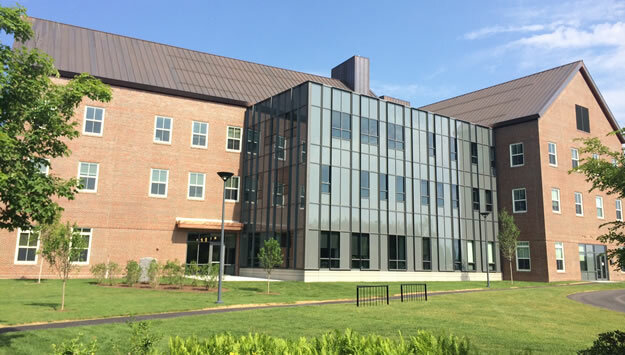 Colby New Science Building: Waterville, Maine - Curtainwall with custom extrusions, backpan, and colored spandrel glass, high performance aluminum windows. 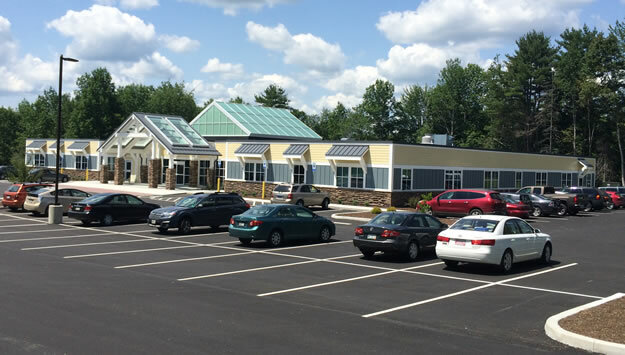 St. Joseph's Medical Office Building: Bangor, Maine - Commercial aluminum windows, automatic entrances, interior glazing and 36' x 36' skylight by Wasco. Falmouth Elementary: Falmouth, Maine - Project features glulam beams going through curtainwall, and raked curtainwall. Waterville High School: Waterville, Maine - Curtainwall project with fiberglass sandwich panel canopy, skylight and extensive fire rated scope. 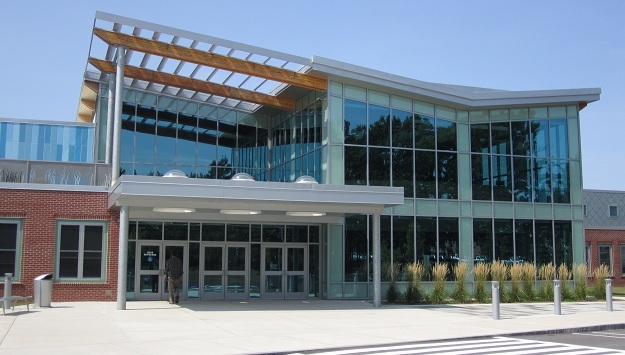 O&P Glass is Central Maine's full service glazing company, specializing in large scale commercial glass projects. Our contract products and professional services include curtain walls, fiberglass sandwich panels, composite panels, storefronts, fire rated glazing, skylights, aluminum windows, and blast mitigation products. When it comes to anything glass O&P Glass always has a proven and superior solution. Our expertise even extends to historical windows and stained glass. Our amazing portfolio is full of successful projects. Contact us and we will explain how we can benefit your project with our quick, reliable, and safe workmanship. Visit our Residential Glass Division in Augusta, Maine whenever you need vinyl windows, auto glass, windshield repairs, bath enclosures, garage doors, patio rooms & doors, skylights, glass countertops, entrances, mirrors, and even light fixtures. Contact us and we will surprise you with unparalleled service, sensational products, and competitive prices. Stained Glass Express in Manchester, Maine is a member of our O&P Glass family and has an enormous selection of stained glass supplies and unique gifts, sure to inspire anybody. Browse the catalog at stainedglassexpress.com or visit the astonishing retail store.